Our team is made up of on-premises professionals: Certified Professional Coders (CPC) and Certified Coding Specialists (CCS) for both inpatient and outpatient coding and validations, Certified Professional Medical Auditors (CPMA), as well as billing and collection specialists dedicated to the financial success of YOUR practice. Don’t outsource the heartbeat of your business – Instead, co-source to a company that will partner with you so that you can always keep your eyes on the pulse of your practice. Forget about having to print out any documents. From audits to reports, our service is fully paperless and digital. Our knowledgeable team of experts are ICD-10 compliant & certified to take care of your coding needs. Enjoy having your own fully equipped team standing by to help with any questions or concerns. Once a claim is adjudicated by the insurance carrier, the process isn’t over. Occasionally, an appeal may need to be filed, legal cost shares collected, or timely follow ups for improper payments. Protect your reputation and financial safety by promptly identifying areas of vulnerability. Our legal team will help your practice navigate through the rapidly changing regulations to mitigate risks. The labor intensive process of contract negotiations should not be imposed on your front office staff. Skilled negotiating must occur to maintain viable revenue and ensure financial sustainability. Keep up to date with mandates – a formal review of licenses, certificates, diplomas, training, and experience can verify a physician’s background and legitimacy through establishing qualifications. Electronic funds transfers allow you to obtain payments faster! Receive direct deposits into your bank account and route all remittances to one central hub. As patient cost shares continually rise, this avenue of collections has become increasingly more pain staking. The importance of timely patient billing can mean success or failure to a practice. Adding a new provider to your group? Ensure timely and efficient enrollment by properly completing the required enrollment documents. Medicare, Medicaid, and commercial carriers require periodic enrollment re-validations. Failure to re-validate could result in being dropped from the network. Our team of medical billing experts can help improve your revenue cycle from day one. 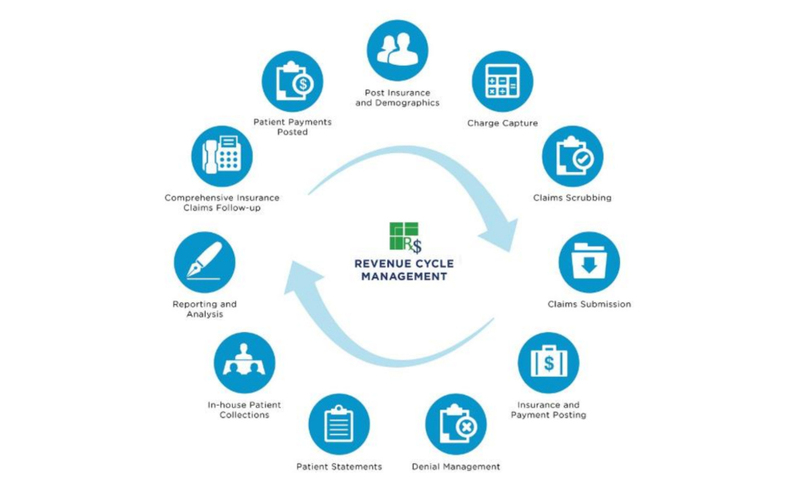 We’ll help maximize revenue collected from patients and payers, reduce number of days claims are stuck in A/R, and help make your practice more profitable by providing in depth analytics and insights.